The fifth instalment of International Construction’s 50th Birthday celebrations looks the ups and downs of the 1980s. Interview: Perkins President Gwenne Henricks. says diesel engines are here to stay. Excavators: New excavators in Europe and the US now all feature low emission engines but manufacturers are also making more models for lesser regulated countries. 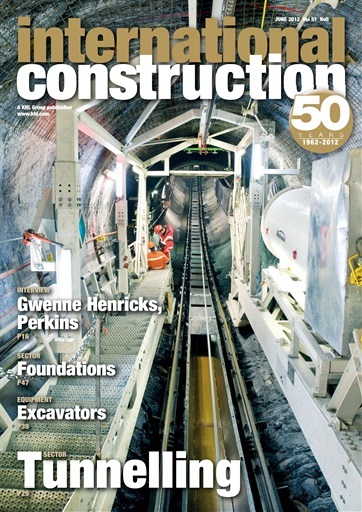 Tunneling: The use of new technology, materials and techniques are helping to drive efficiency in the tunnelling sector.